MUMBAI: With a number of selected club nights and festivals Kompakt will finally let the long-awaited 25th birthday parties drop onto dance floors worldwide. With a new and playful artwork, the second half of 2018 will see a wide range of artists performing in Barcelona, Berlin and Istanbul with more events to be announced in Paris, Marseille, Cologne and Amsterdam, reaching from legendary artists like Gui Boratto, Michael Mayer and Thomas Fehlmann to newcomers like Weval or Anii. Additionally the Kompakt Pop Up Store will hit the road again to travel to Barcelona in June and Amsterdam in October. The Kompakt classic returns to Sala Apolo during Sonar week in Barcelona. No less than three Live Sets will see Kompakt mainstays Thomas Fehlmann, Rex The Dog (who just released his 'Crasher' EP) and Gui Boratto (who will celebrate the Release of his new album 'Pentagram' that night) highlight the event. DJ sets by label boss Michael Mayer and Patrice Bäumel as well as newcomer Anii and Nitsa resident DJ Fra will round up the night in true fashion. For the 4th year in a row we're also bringing our Pop Up Store to Barcelona, offering a wide range of vinyl from our distribution as well as exclusive DJ sets each day from Thursday, 14 of June until Saturday, 16 of June. We're happy to partner up with 33|45 (instruments) again as well as Moritz for this special occasion. RSVP Kompakt Pop Up Store, 14-16 June. 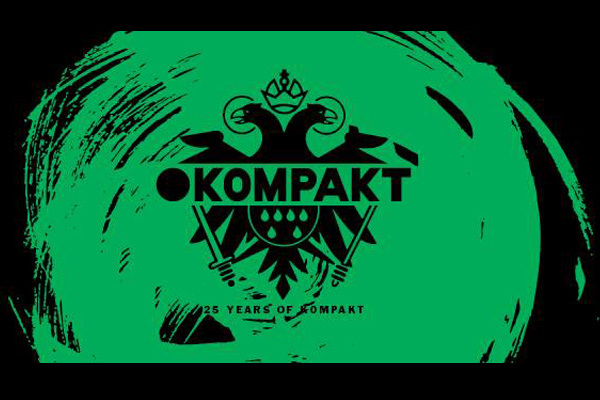 Kompakt is back at ELSE in Berlin for an all day and night celebration in the sun. This year's line up marks a special reunion of the highest order featuring artists from our past and future. Come on out for what promises to be the perfect storm! RSVP Kompakt Berlin Open Air, 10 June. We're happy to bring Kompakt vibes to the Turkish capital later this month with a live set from our Dutch friends Weval who we know are always working on something new. Black Forest dream-team Michael Mayer and Tobias Thomas will fly in from Cologne to bring the heat. MUMBAI: Hot on the heels of their fourth landmark event in Barcelona, DGTL has now revealed new details regarding their upcoming debut edition in Madrid. MUMBAI: Chris Liebing has announced a free** Burn Slow album launch event on Saturday 8 September in Amsterdam. Doors are open from 1pm until 11pm and during the set, Chris will be playing out the album in full for the first time. MUMBAI: Gorgon City have delivered brand new track Hear That featuring D Double E, a dynamic production taken from the duo’s brand-new album Escape the eagerly anticipated follow-up to 2014’s ‘Sirens’ - which sold 70,000 UK copies, amassing over 160 million Spotify streams.